Homes across New Jersey are getting ready for the winter months, transforming into cozy, warm spaces where we can escape the chilly weather. Here are some tips from our home heating system specialists on preparing your home. Deal with leaks and drafts: Heating a home takes time, money and energy – so the last thing you want is for all that warm air to go to waste. Check your home’s doors and windows as well as vents, electrical/gas lines and plumbing for gaps where warm air could leak out of your home or cold air can get in. Often, it as simple as applying weather stripping or spray foam insulation, but professionals are available to assist with more complex jobs like inspecting and sealing ductwork. Check your insulation: Homes with poor insulation will be a challenge to keep warm even with a powerful heating system – and your bills will skyrocket too. Have your home’s insulation inspected (especially the attic, exterior walls and basement) and ensure that it is up to recommended standards. Clear the gutters: Leaves and other debris quickly clog up gutters in the fall and early winter months, blocking one of your home’s most important drainage systems. When gutters clog, rain and snowmelt can start seeping into your home’s walls, siding and foundation, causing moisture leaks, damp, mold and structural damage. Clean or replace air filters: Air filters capture debris and dirt to prevent it from entering your home or damaging your system. As the filters clog up, it becomes more difficult to supply your home with warm air, so your system can wear or break – and heating costs can rise. Replacing or cleaning these filters is a simple job and instructions should be with your system’s manual. 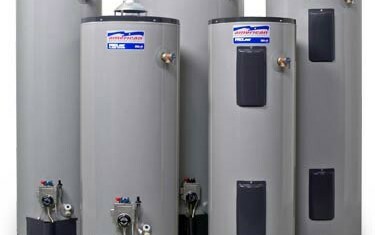 If you would like to replace your home’s HVAC system, furnace or water heater with state-of-the-art heating systems, the specialists at Crosstown Plumbing Supply can assist you. With over 25 years of experience serving the New Jersey area, we’re the right plumbing wholesaler to help you choose the right replacement option for your needs. Customers can also benefit from our location in a 3.5% NJ sales tax zone, making your project even more affordable.